The Data Mining and Analytics Team focuses on extracting the dynamics of complex systems from real-world data. We build unique and innovative data systems that capture in unprecedented detail the processes that lead to important scientific innovation. Combining expertise in data wrangling, network science, and advanced statistical modeling, we push at the interdisciplinary boundaries of the life sciences, medicine, clinical research, data science, and digital humanities. We build unique and innovative data systems that capture in unprecedented detail the processes that lead to important scientific innovation. 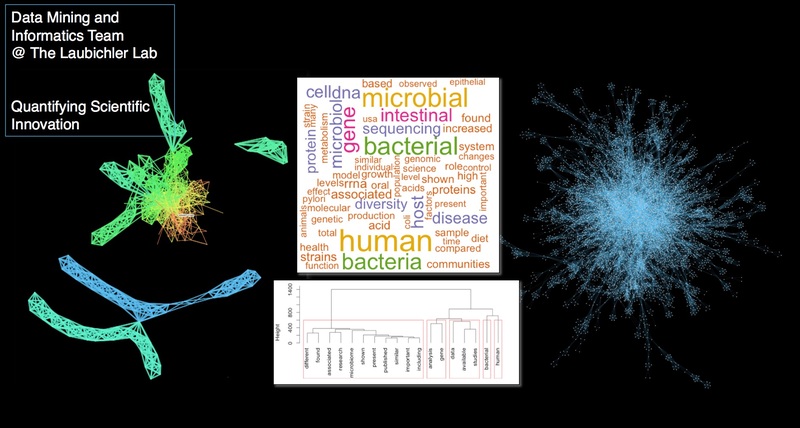 Combining expertise in data wrangling, network science, and advanced statistical modeling, we push at the interdisciplinary boundaries of the life sciences, medicine, clinical research, data science, and digital humanities.